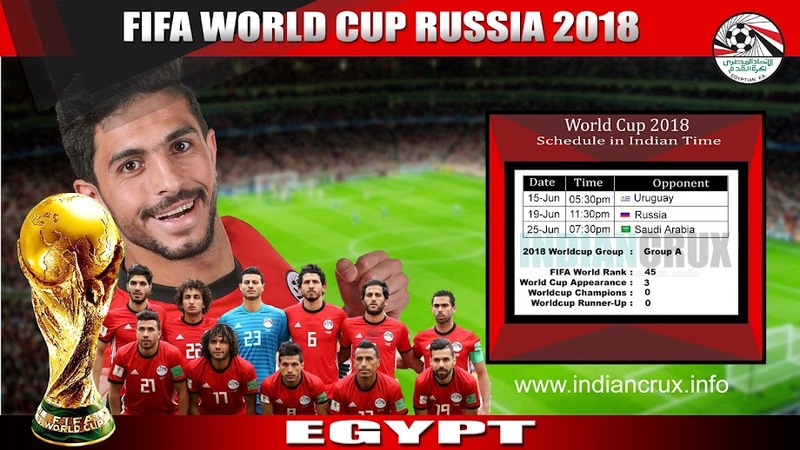 Egypt Team Schedule and Results at FIFA World Cup 2018 are here in Live action. Indiancrux provides you live updates of FIFA World Cup 2018. Egypt played their first group stage match against Uruguay on 15th June 2018 and lost by 1-0 . Egypt is playing in Group A with Uruguay, Russia and Saudi Arabia at FIFA World Cup 2018. The first international match was against Italy in 1920. The biggest victory for Egypt is against Laos (15-0) in 1963. And biggest defeat is by Italy (11-3). 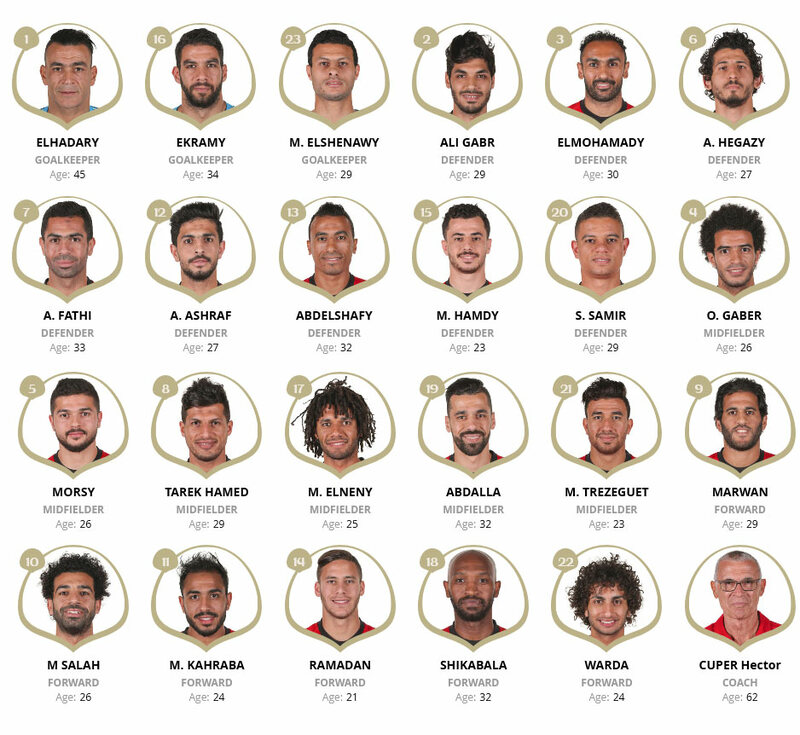 Team Egypt attending their 3rd FIFA World Cup at this time. Their best result was in 1934 as 13th position. At African Cup of Nations, Egypt made their presence in 23 games and won title for 7 times. At FIFA world ranking, Egypt at 45th as on 7th June 2018.